Located in Copperfield on the corner of a quiet street, this full brick Ranch offers near 2000 sq ft of living space. The large living room features a fireplace and views of the backyard. The kitchen offers plenty of cabinet space with neutral counter tops, beautiful tiled back splash and a breakfast nook full of windows. All appliances are included. The formal dining room can serve as an office if needed. The spacious master suite exits to a covered deck for relaxing with that morning coffee. The master bath features a jetted tub, shower and double bowl vanity with an adjacent huge walk-in closet. A second bedroom offers a 1/2 bath, great for guests. A third bedroom, laundry room and a full bath complete this home. Washer & Dryer included. Parking is no problem with a 2.5 car garage and an extra wide concrete drive. Enjoy the outdoors lounging on the large trex deck and take a dip in the above ground pool. All in the privacy of the fenced backyard. Fence, pool and extra deck to pool added in 2013. Other dates per Seller, roof and main deck new in 2007, the Trane xv95 Furnace new in 2008. The lawn irrigation system is a perk! 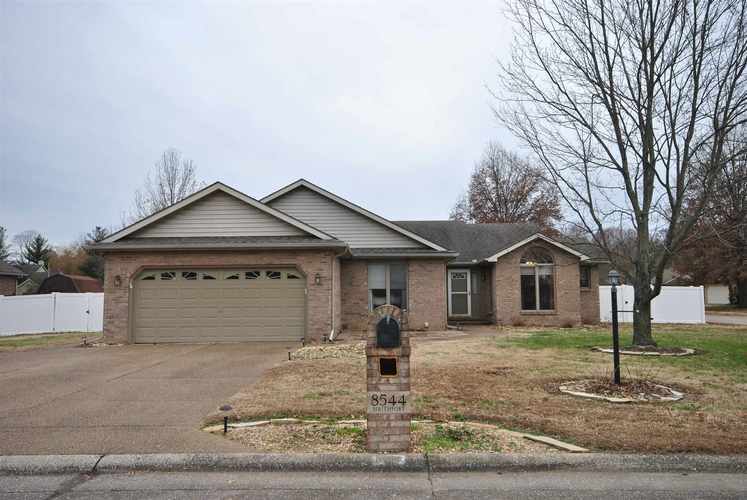 This home is conveniently located to shopping and restaurants, make your appointment today! Curtains in 2nd and 3rd Bedrooms are excluded.